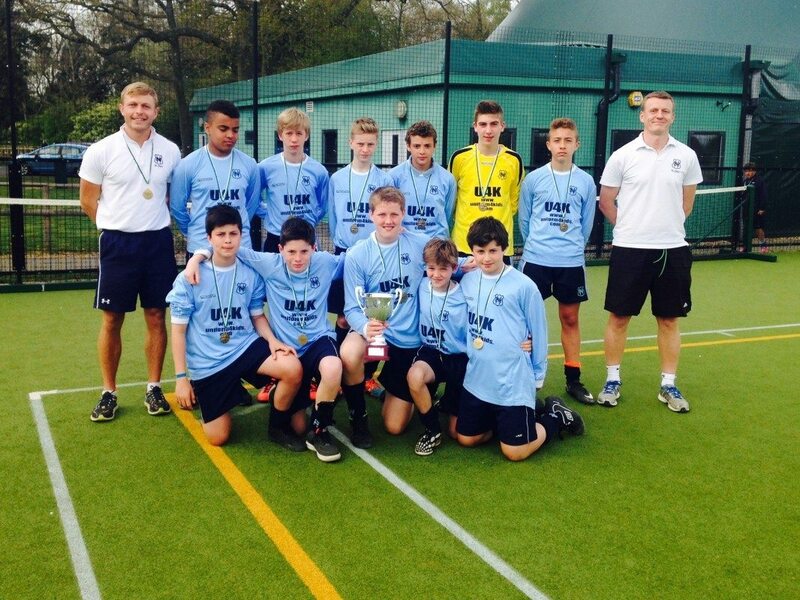 The North Bridge House Under 14 football team put on an outstanding performance in the Cognita Expro Tournament, finishing runners-up in the international competition which took place in Buckinghamshire last week. After making the final against nine other Cognita Schools teams from across the UK, Chile and Spain, North Bridge House narrowly missed out on the title to the deserving Chile A team. On the first day of the two day tournament, North Bridge House were drawn in a tough group of five teams, which included the future winners. However, they perservered with great effort throughout their four matches and came second in the group, reaching the quarter-finals. Day two began with a comfortable 3-0 win against the Chile B Team, which saw NBH qualify for the semi-final against a talented Spanish team. The extremely nail-biting encounter finished 1-1 at the end of normal time, and so the two teams’ skills and stamina were tested in a deciding penalty shootout. NBH held their nerve and won the shootout, progressing onto the final. The final was tough and although North Bridge House lost 2-0 to the Chile team, it was a magnificent achievement for us to have made the final of the tournament. Mr Ashley, Head of PE and Mr Gorman are extremely proud of the whole NBH squad for making the tour a success, and for displaying fantastic commitment, skill and resilience through the tournament. Well done to the North Bridge House Under 14 Football Squad: Ben Waine (Captain), Dylan Penketh, Joel Nuki, Harvey January-Kerr, Max Needham, Adrian Galliani, Hari Duggal, Louis Paveley, Ramy Benhadj-Dijilali, Dylan Krikler, Sid Rounthwaite.